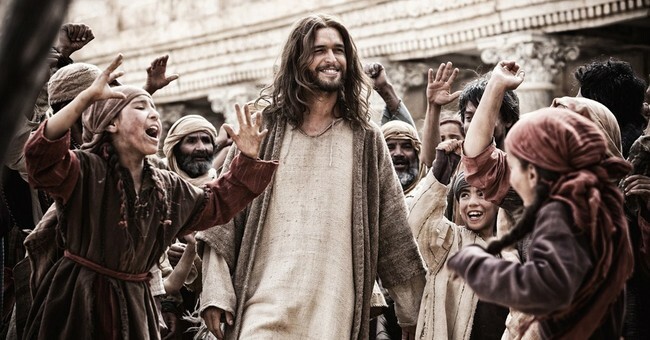 The first episode, for instance, focuses on Joseph, Jesus’s father. Joseph is portrayed by Ramin Karimloo in scenes focused on the character. Interspersed with dramatic sequences depicting biblical events, the program relies on historical experts who offer their own perspectives of the narrative. Some of these experts (like Joel Osteen) are well-known figures in the Christian community. Others include professors of theology and religious leaders. Experts include Reverend Shively Smith, a theology expert at Boston University, and Bishop Michael Curry. Joshua DuBois, the head of the White House Office of Faith-based and Neighborhood Partnerships under President Obama, also speaks out about some of the key figures in the story. The eclectic group of experts adds a great unique value to the program because they don’t always agree on specific elements of the biblical stories. In telling Joseph’s story, for instance, some of the experts disagree on the Massacre of the Innocents, the story of Herod the Great ordering the execution of young children in a bid to murder the young Jesus Christ. While some claim that this act was typical of Herod the Great’s heinous actions as leader, others question if this particular story was true. Elements like this debate don’t detract from Jesus’s story but they shed some new light on biblical stories that might be in one Gospel but missing from the other ones. The story of Joseph is a familiar one for most Christians so the first episode won’t surprise many viewers. The second episode focuses on John the Baptist and paints a unique portrait of the man who baptized Jesus. Because much of the episode focuses on John himself, his revolutionary spirit is more fully captured. The program also shows how his expectations of the coming Messiah differed from the reality that he eventually understood. The second episode even shows how his outspoken personality — and his willingness to take on authoritative figures — may have inspired Jesus to speak out more. Concepts like this would’ve likely been glossed over in a series that focused predominantly on Jesus Christ. In focusing on the people that surrounded him though, Jesus: His Life truly brings something new to the biblical accounts many of us already know. The first two episodes of the series premiered last night on the History Channel (those were available for review). The limited series will continue in the weeks leading up to Easter (two new episodes will premiere each Monday night) and will focus on other biblical figures, including Mary, Judas, Pontius Pilate and Mary Magdalene. Jesus: His Life undeniably covers familiar territory but by telling it through the perspectives of supporting figures in the Bible, it presents a new perspective of its own. Jesus: His Life airs Monday nights on the History Channel.